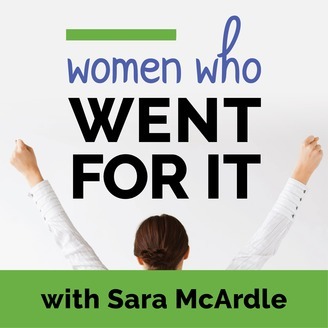 Women Who Went for It! 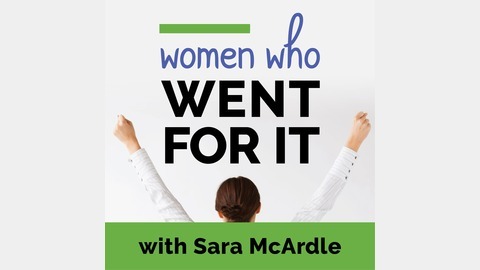 is a bi-weekly podcast, hosted by Certified Whole Person Coach and Career Change Agent, Sara McArdle. The show features inspiring chats with successful industry changers who share how they found the clarity, courage and momentum to step into a deeper vocation and a life of meaning and fulfillment. We hope you'll see just how many before you have GONE for it—and they're eternally grateful that they took the risk! Kelly's Full Bio: Kelly Herzberg is Seattle's premier thrift stylist. She is the founder of Sweet Kelly Anne Styling, a personal styling service that specializes in finding high quality clothing at thrift stores. She has been featured in various Seattle publications and media outlets, including KIRO Radio (twice!) and the KING 5 morning show, "New Day Northwest." Kelly studied psychology at the University of Minnesota and then moved to Seattle to pursue a graduate degree at the University of Washington. After graduating with a Master's in School Psychology, she promptly realized she did not want to be a school psychologist. So, she pivoted and began her professional career at Seattle Children's Hospital—first as a family services coordinator, then quickly moving into the role of psychometrist. During her tenure, she began styling her coworkers which lead to launching a personal styling business in 2014. In May of 2018, she quit her job to pursue styling full time. Along with being a personal stylist, Kelly is also a licensed mental health therapist and certified life coach, both which greatly inform her styling philosophy and practice. She values self-love, self-acceptance, and body neutrality, and she seeks to inspire these values through fashion. Connect with Kelly and Sweet Kelly Anne Styling: Website: www.sweetkellyannestyling.com Facebook: www.facebook.com/sweetkellyannestyling Yelp: www.yelp.com/biz/sweet-kelly-anne-styling-seattle Connect with Sara and Women Who Went for It: Facebook: www.facebook.com/womenwhowentforit Website: www.womenwhowentforit.com Nominate a Podcast Guest: www.saramcardle.com/podcast-guest Email: sara.mcardle.coaching@gmail.com Phone: 503.893.2043 Want to make your own career change? Download Sara's Seven Cs of Successful Career Change Chart.